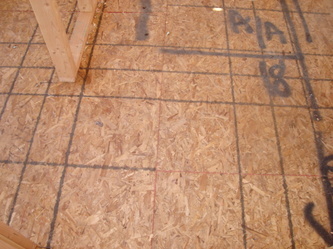 Typical Floor Construction. Click on the pictures to view larger images and captions. 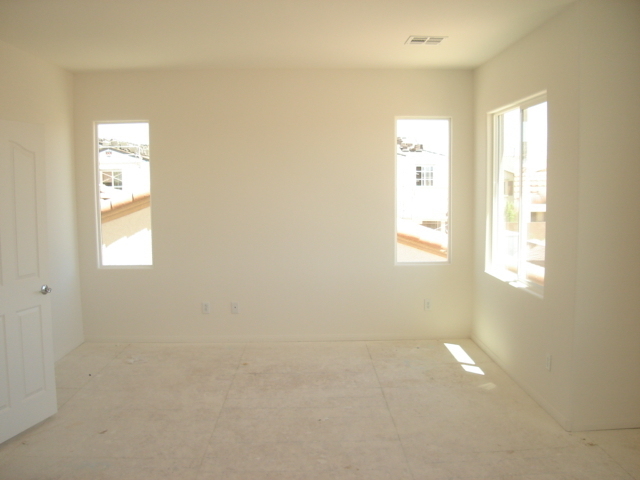 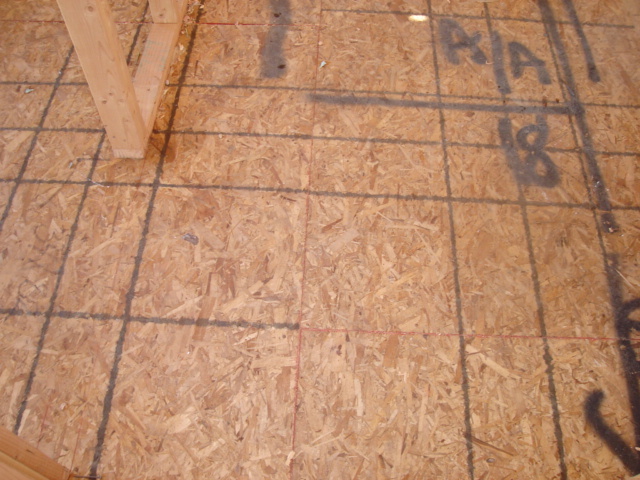 There are several different methods used to construct floors. 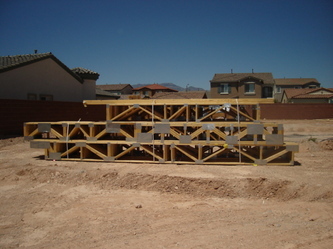 Nominal lumber 2X8, 2X10 or 2x12's etc., floor trusses, and engineered floor joists. 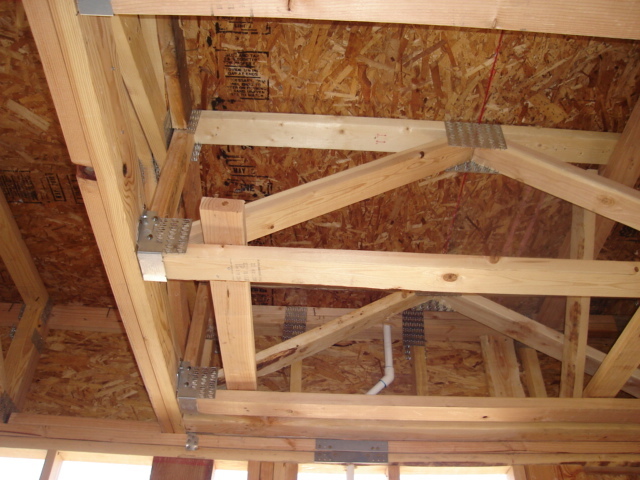 Nominal lumber has pretty much faded away with the ease of installation and consistent quality of pre-constructed floor trusses and engineered floor joists. 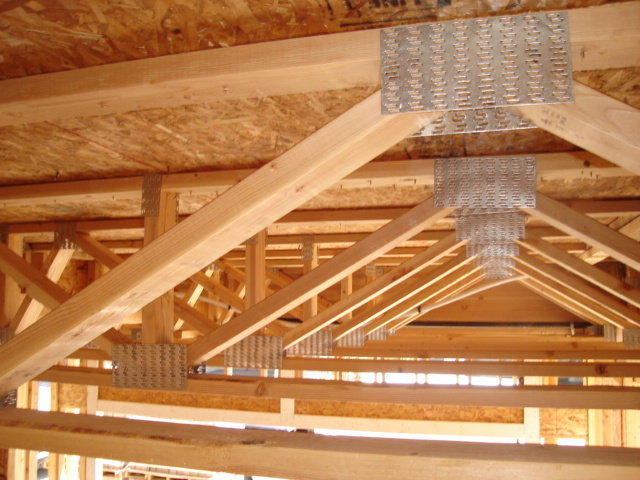 The strength, quality and flexibility of the trusses and joists make them the more popular choice. 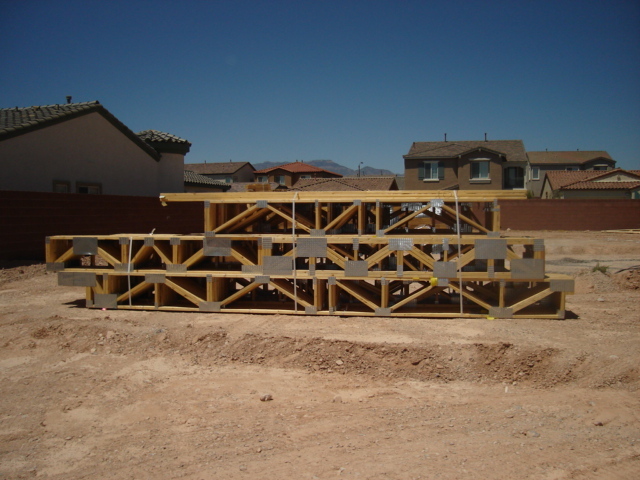 Floor trusses are the most popular. 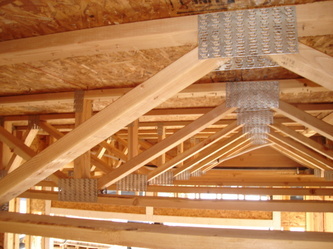 They can be manufactured in different depths, normally 16 to 24 inches and any length to about 30 feet. 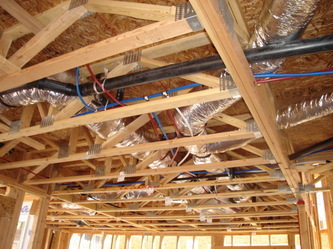 Floor trusses allow much greater flexibility to run the duct work, plumbing lines and other components of the home because of the open web design. 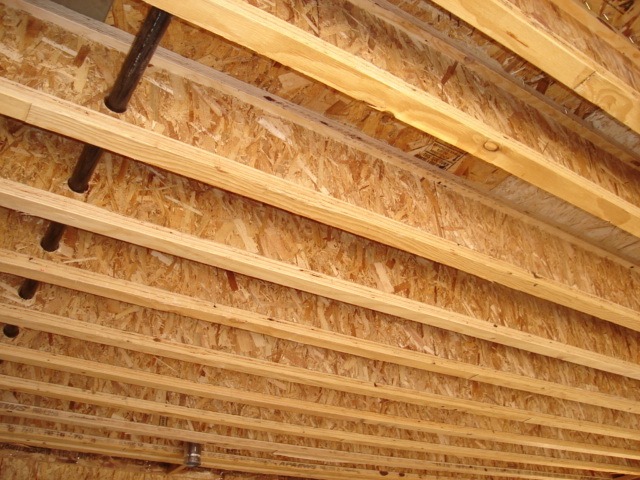 Engineered floor joists, commonly known as I-Joists are pre-manufacured in various sizes and legnths. They provide a more silent floor system, because there are no joints or hardware that can flex and squeek. I-joists are more restrictive, because of their solid construction and require engineering to cut the holes to run the duct work, plumbing lines and other components. 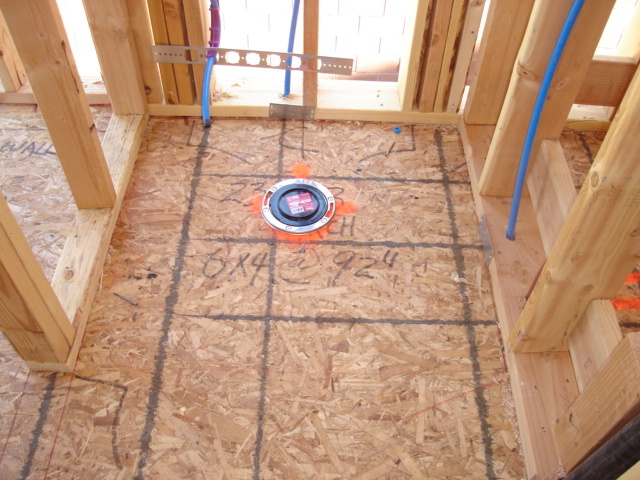 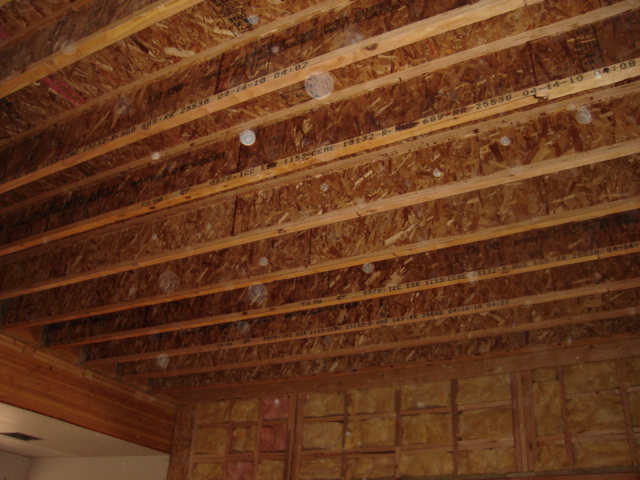 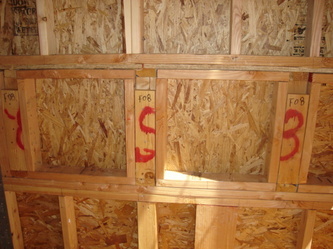 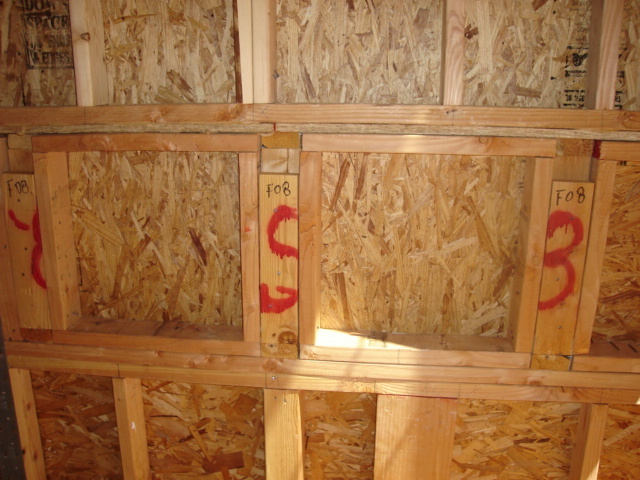 Most homes have 3/4 inch tongue and groove plywood or osb that is glued and screwed or nailed in place. 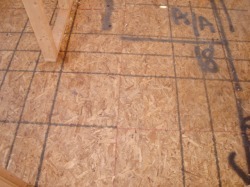 This is the walking surface normally refered to as "decking". Higher end and custom homes may have 1-1/8 inch decking.